Amidst a weekend filled with world-class performances, Emily de la Bruyere finished in 19th place on Friday night in the 3000m steeplechase prelims. Her time of 10:06.3 was just off her PR of 10:02 from May, and it's not a stretch to say that she would have been under 10 minutes in better conditions. Trackside temperatures were ~95° at the start of the race. Coach Jerry was impressed with Emily's effort. 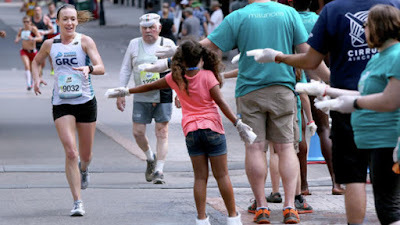 "Emily ran pretty much even splits, and handled the barriers extremely well," he reported. "She was very pleased with her performance, and I most certainly was too." Surely this won't be the last USATF championship meet for Emily. With a few extra months of steeple prep under her belt for 2018, the sky's the limit. "Emily was not planning to run the steeple this spring. She was invited to run what she thought was a flat 3000 at the IFAM meet in Belgium, and when she found out that it was actually a steeple, we were somewhat hesitant given the fact that she hadn't even seen a barrier in over a year. But she was confident in her hurdling ability and decided to give it a go. We were both pleasantly surprised that the result was a big PR, and it didn't take long to realize that she might be able to qualify for nationals with that mark. Emily has trained very well the last few weeks, and she's race sharp and ready to go. This is a huge breakthrough for Emily, and for GRC, as Emily will be the first athlete to represent GRC at the outdoor champs." Weather conditions in Sacramento have been oppressively hot over the past few days, and Thursday looks to be no different. While most would consider hot track-side temperatures to be detrimental, Coach Jerry believes that the situation could play into Emily's favor. 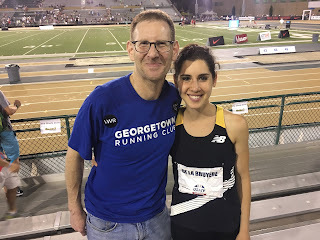 "Given the likelihood of a slow pace and her excellent closing speed," Coach Jerry explained, "I think she's capable of pulling off a major surprise." The men's podium at Saturday's Lawyer's Have Heart 5k belonged exclusively to our Ivy League alumni. Newcomer George Galasso took the win in 15:35, followed closely behind by Mike P in 15:36 and Phil in 15:41. 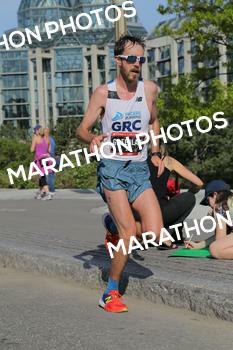 If recent history is any indication, it's likely this won't be George's last 5k victory in a GRC singlet. 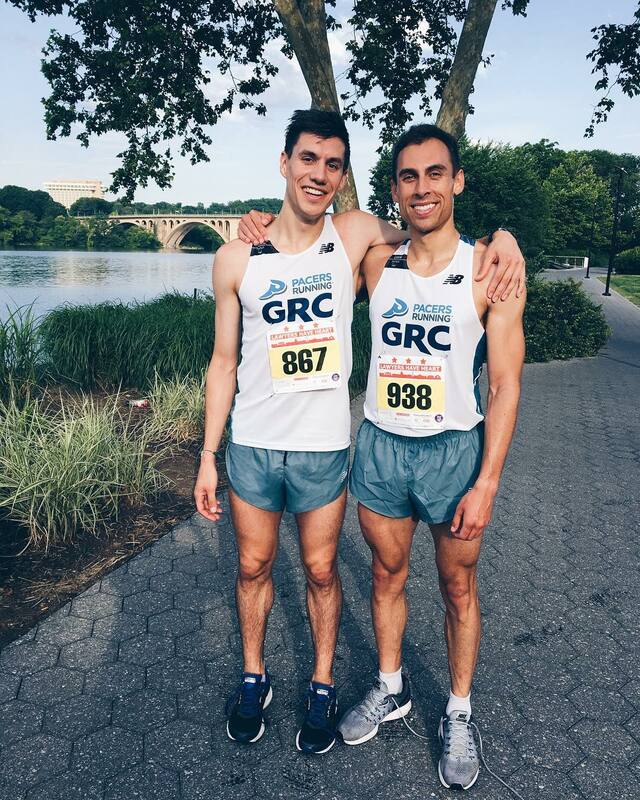 George joins GRC after a spring season highlighted by 3 victories during Pacers' Friday Night 5k race series. He's reportedly already set his sights on a sweep for next year. Hannah took the win in the 5k on the women's side in 18:14, while Shauneen finished the 10k in 37:53 for 3rd. For her efforts, Hannah was rewarded with a hockey stick signed by Washington Capitals star Alexander Ovechkin. Hannah should sell her prize as soon as possible; its value is bound to decrease sharply once the Caps blow yet another shot at the Stanley Cup in 2018. Outside of the District, Emily de la Bruyere took home a national title with a solo 16:48 5000m at the USATF National Club Track & Field Championships in New York. Hot temperatures couldn't deter Emily from victory, and hopefully she'll get a shot to compete on a larger stage nationally in the next few weeks. 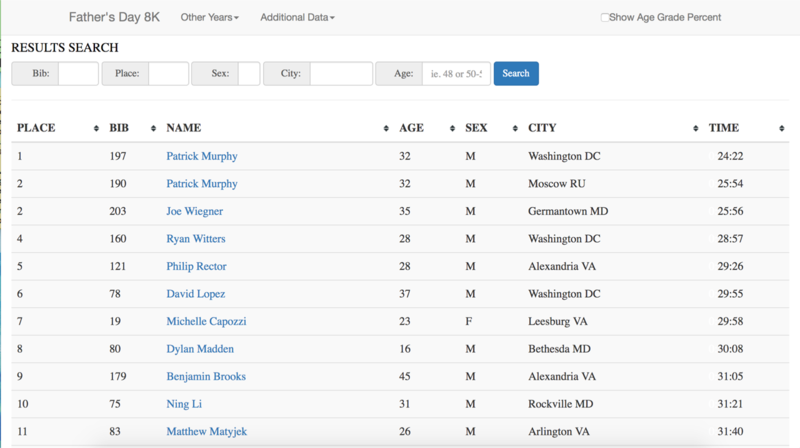 Further down I-95, the Reichs supposedly ran in the Run for Heroes 5k in Frederick MD. 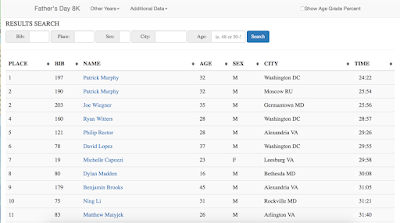 The race has a website, but no results, so we'll go ahead and assume that Steph and Stew ran reasonably well as always. 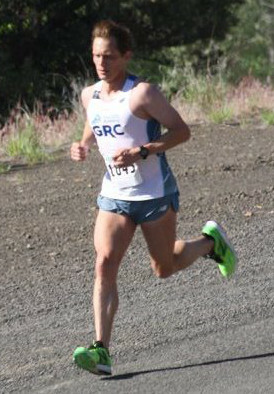 This weekend also played host to a farewell run for former GRC President, Patrick Murphy. Patrick's contributions to the team over the years are too large to list out in this blog, and hopefully it goes without saying that he'll be sorely missed. 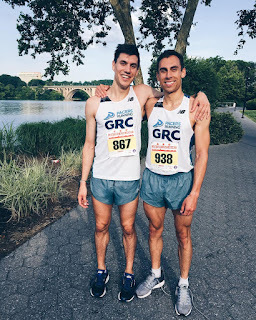 Additionally, it's likely that Phil and Hannah ran their final races in GRC singlets at LHH, since the Dartmouth duo is set for a move to the Bay Area within the next two weeks. It's never easy saying goodbye to friends, but the transient nature of the DMV teaches us to brace for departures at any moment. Happy trails to Murph, Phil, and Hannah!